The actor Nakamura Shirogorô I held this name from 1697 to the 10th lunar month of 1709, then from the 1st lunar month of 1711 to the 1st lunar month of 1712. Dates of birth and death unknown. 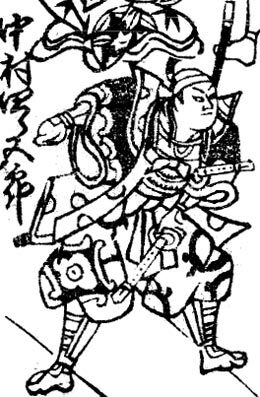 Relative of Nakamura Shirogorô I, he made his debut on stage (hatsubutai) in the 11th lunar month of 1711 in Kyôto, where he received the name of Nakamura Sanshirô and performed as a wakaonnagata. He was adopted by Nakamura Shirogorô I and turned to wakashugata in 1713. He spent several years performing in tabi shibai and his name did not appear in Kamigata ôshibai. He became tachiyaku and took the name of Nakamura Shirogorô II in the 11th lunar month of 1725 at the Naka no Shibai, playing the role of Mochizuki Daisuke in the kaomise drama "Hôraisan Imose no Matsu". He also performed as a jitsuaku from the following year. He worked on the Ôsaka and Kyôto stages until the middle of the 1730s. 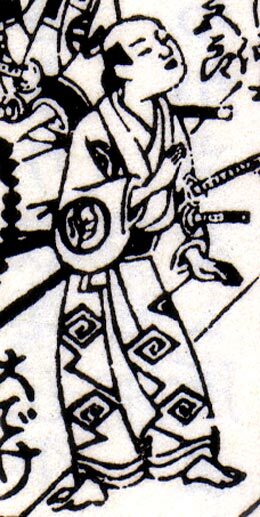 His last rank in a Kabuki hyôbanki, tachiyaku section in 1734, was jô-jô (superior - superior). 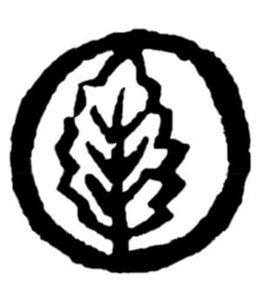 Born in Kyôto in 1725. He was an inaka shibai actor. He called himself Ichikawa Kyôzô in Kyôto koshibai in 1747. He was quickly spotted by Nakamura Kiyosaburô I and became his disciple. He took the name of Nakamura Shirogorô III in the 11th lunar month of 1747 at the Kitagawa no Shibai, where he performed in the kaomise drama "Teikin Ôrai Manzoku Kagami", which was produced by Nakamura Matsubê I and celebrated the shûmei of Sakakiyama Kôshirô II and his son Sakakiyama Shirotarô II. He appeared on stage for the last time in the 1st lunar month of 1766, fell ill and died in Kyôto the 20th of the 9th lunar month of 1766. There will be in the future to come a full page dedicated to Nakamura Shirogorô III in kabuki21.com. The actor Mikuni Fujigorô held the name of Nakamura Shirogorô IV from the 11th lunar month of 1769 to the 10th lunar month of 1772. Dates of birth and death unknown. Brother of Nakamura Matsubê II, he started his career in 1751 as a disciple of Nakamura Kiyosaburô I, who gave him the name of Nakamura Gonzô II. He joined Kirishima Gizaemon I in 1757 and changed his name to Kirishima Gonzô. He went on tour in 1758 in Edo, where he took back the name of Nakamura Gonzô. He went back to Kyôto in Fall 1764 and took the name of Nakamura Shinshirô in the 11th lunar month of 1764 at the Kitagawa no Shibai, where he performed in the kaomise drama "Genpei Tsûrikimaru". He finally took the name of Nakamura Shirogorô V in Ôsaka in the 11th lunar month of 1771, while his brother was still holding the name of Nakamura Shirogorô IV and held it up to Fall 1772. For one season, there was one Nakamura Shirogorô in Ôsaka and one in Edo. This katakiyaku actor was active in Kamigata up to 1776. Dates of birth and death unknown. His first stage name was Mizuki Uzaemon (his relationship to the Mizuki clan is unknown) and he took the name of Nakamura Shirogorô VI during the Bunsei era (his relationship to the Nakamura clan is also unknown). This minor katakiyaku/jitsuaku actor was active up to the beginning of the 1830s. The actor Nakamura Shirogorô VII held this name from April 1976 to April 2007.